One thing people agree on when it comes to indie publishing (or traditional publishing, for that matter) is that you need a great book. But how can you tell if you have one? Frankly, most writers are not good at judging their own work. Sometimes we’re so in love with the ideas and characters that we can’t see the flaws in the manuscript. Sometimes we know what we wanted to convey, so we don’t realize we didn’t put it clearly on the page. Sometimes we’re simply not experienced enough to recognize the problems, let alone know how to fix them. Even critique group members and beta readers can only help so much. Some critiquers are great as cheerleaders, line editors, or grammar mavens, but don’t know how to see the big picture. Some may sense problems but not know how to offer advice for fixing them. In my freelance critique business, I’ve worked with many clients who have worked through a manuscript with a critique group but still feel it needs help. They are always right. “Big picture” revisions can include cutting or adding chapters, reordering scenes, changing your plot, and developing character arcs and themes. For this kind of revision, it’s important to see what you really have in your manuscript, not simply what you intended to do. I developed a system for my own use which I share in my book Advanced Plotting. The goal is to first step back from the manuscript and view it as a whole, so you can see the big picture. 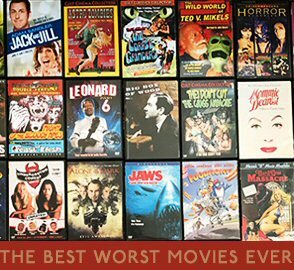 This helps you find places where something is missing; sections that don’t make sense or don’t fit smoothly into the whole; scenes that are redundant or otherwise unnecessary; and other problems, such as chapters without enough conflict. Once you understand the big picture problems, you can plan how to fix them. From there you can narrow your focus to the scene and paragraph level, finding and fixing smaller flaws. If you outline before writing, you can also use this exercise to analyze your outline before you start writing. This can reduce your need for later revisions. Write a one- or two-sentence synopsis for your manuscript. What genre is it? What is it (briefly) about? Define your goal. Do you want an action-packed page turner? A novel that explores an issue and makes people think? Keep the synopsis and goal in mind when you’re making decisions about what to add, cut, or change in the manuscript. Outline. Don’t be intimidated by the word. You don’t need Roman numerals or subheads, just a brief description of what happens in each scene. Think of it as the equivalent of a photo album of your vacation. If you try to remember what happened on your vacation, you might get confused about what you did on each day, and you might even forget some of the highlights. A chronological photo album, with one photo per event, helps keep your thoughts organized while triggering memories of each event. Writing an outline after you finish a draft of your novel helps you see what you did. You’re not going to edit yet, but rather analyze and make notes. You can use this outline in many ways. Make a note of the number of pages in each chapter. If some are unusually long, I may want to divide them. If I can’t find a good cliffhanger spot as a new chapter break, that’s a sign I may not have enough action in that chapter. For each scene/chapter, list the emotions. Underline or highlight the major emotion. This helps ensure I have strong and varied emotions. If a scene only has fear for five pages, that’s not as emotionally powerful as a scene that has fear… relief… surprise… and more fear. Ups and downs are important. Keep track of subplots by briefly mentioning what happens in each chapter where that subplot appears. I might use a purple pen to keep track of the romantic subplot and a green pen to track a subplot with the main character’s father. I can make sure I didn’t neglect a subplot for too long. You can take my Plot Arc Exercise and adapt it for your own needs. You can also find a variety of other tools to help you analyze your plot. If something doesn’t feel like a good fit, don’t give up on the idea – try some other methods. Be patient with the process. It takes time, but the results are worthwhile. I hope you’ve found this post helpful. If you’re interested in some of the issues that come up when self-publishing novels for children, I’ve blogged about that here. Chris Eboch writes novels for ages nine and up. 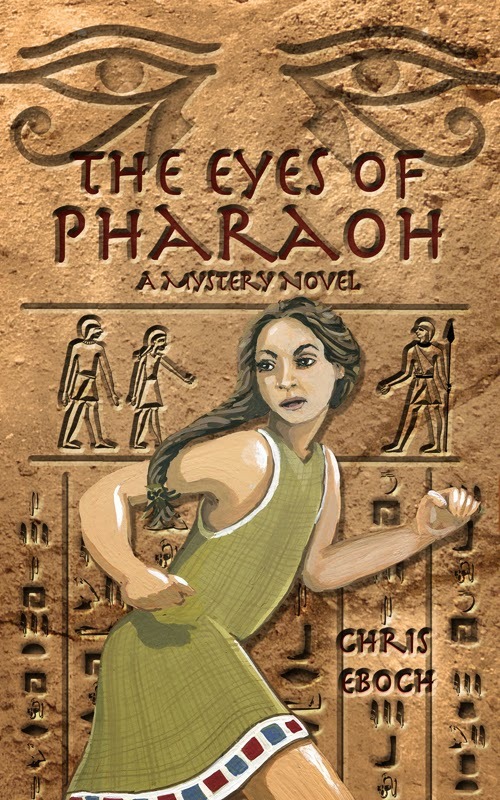 The Eyes of Pharaoh is an action-packed mystery set in ancient Egypt. 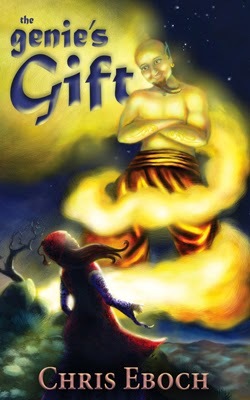 The Genie’s Gift is an Arabian Nights-inspired fantasy adventure. In The Well of Sacrifice, a Mayan girl in ninth-century Guatemala rebels against the High Priest who sacrifices anyone challenging his power. In The Ghost Miner’s Treasure, a brother and sister help a ghostly miner find his long-lost mine. Learn more at www.chriseboch.com or her Amazon page, or check out her writing tips at her Write Like a Pro! blog. As Kris Bock, Chris writes novels of suspense and romance involving outdoor adventures and Southwestern landscapes. Counterfeits starts a new series about stolen Rembrandt paintings hidden in a remote New Mexico art camp. 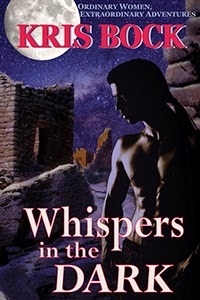 Whispers in the Dark features archaeology and intrigue among ancient Southwest ruins. In What We Found, a young woman finds a murder victim in the woods. Rattled follows the hunt for a long-lost treasure in the New Mexico desert. Read excerpts at www.krisbock.com or visit her Amazon page. Whispers in the Dark is on sale for $.99 through March 22. See Chris Eboch’s books on Amazon, Barnes & Noble, or Smashwords. See Kris Bock’s books on Amazon, Barnes & Noble, or Smashwords.